David L. Weddle is the David and Lucile Packard Professor at Colorado College and the author of The Law as Gospel: Revival and Reform in the Theology of Charles G. Finney. Miracles: Wonder and Meaning in World Religions retells stories of wondrous events in five religious traditions and reflects on the meanings assigned to them. Accounts of levitation, healing, resurrection, and clairvoyance appear in these traditions as expressions of the refusal to accept human existence as determined by a closed system of pitiless material forces. Belief in miracles persists in all these traditions, despite scientific claims and philosophical criticisms to the contrary. In fact, belief in supernatural (or “transcendent”) events is on the rise among resurgent forms of religion across the globe. My thesis is that hope for miracles is everywhere sustained by popular enthusiasm, restrained by official regulation (like the rigorous tests for sainthood in the Roman Catholic Church), and—here is the distinctive emphasis of the book demonstrated on page 99—opposed by faithful dissenters within each tradition who object to reliance on miracles as undercutting moral responsibility and the order of nature. Spinoza was unusual among modern thinkers in retaining his love of God while accepting the hard fact that God would not reciprocate his interest with any personal gesture. The God who is Nature exists in supreme indifference to human need. In its practical effects, Spinoza’s theology required adult believers willing to assume responsibility for seeking justice and charity for their own sake without promises of supernatural intervention now or reward beyond the grave. In short, Spinoza offered theism without supernaturalism, ethics without transcendence, and love of God without emotion. To worship Spinoza’s God is consistently and exclusively to pursue moral virtue, unaided by supernatural assistance. For Spinoza the claim to miraculous power by religious leaders was a dishonest attempt to control uneducated believers, while the popular desire for miracles was the result of scientific ignorance and religious immaturity. Spinoza belonged to the age of European Enlightenment, but a more recent critic also appears on page 99: Mordecai Kaplan, founder of Reconstructionist Judaism. Kaplan taught that Judaism is a “civilization” that must take its place in the modern world by accepting the primacy of science and abandoning claims of supernatural intervention. He was a faithful dissenter. Kaplan believed his conception of God would inspire modern Jews to pursue traditional values—justice, mercy, and peace—that enhance the world as a whole. The evidence that the human spirit is not determined by blind material forces is our capacity to rise above the demands of natural order by answering brutality with compassion and nurturing hope that the world can be different than it is. The catalog of horrors created by authoritarian regimes—war, persecution, genocide—were not inevitable. The problem is that supernaturalism requires loyalty to a fictional being and its abstract ideals for which humans are moved to kill each other. Kaplan insisted that the ennobling values symbolized by his reconstructed idea of God could motivate humans to surpass selfish interests and pretensions of absolute authority. Read the introduction to Miracles: Wonder and Meaning in World Religions, and learn more about the book at the publisher's website. 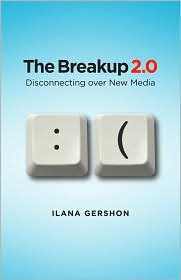 Ilana Gershon's "The Breakup 2.0"
Ilana Gershon is Assistant Professor of Communication and Culture at Indiana University. I opened my book to page 99, and my heart sank a little bit – no good breakup stories. My book is filled with funny, quirky breakup stories, none here. Instead I am introducing a theoretical framework to address an issue that came up in almost all of my interviews. I interviewed 72 people at Indiana University about how they use new media to break up, primarily undergraduates. I was asking people about their media ideologies, about their beliefs about how a medium affects a message, especially when it is a series of messages about ending a relationship. But someone’s media ideology about texting is also always informed by their media ideology about Facebook or instant messaging (even if they aren’t on Facebook or don’t use instant messaging all that often). One of the interesting things I noticed in all my interviews is that these breakup stories were all collections of conversations that took place in a number of different media. Very few people only broke up by email or by text message, even if The Breakup Conversation only took place in one medium. Breakups often involve many conversations, and people will use a wide range of media as they disentangle. In addition, when you are breaking up by Gmail chat, you are also not breaking up by phone, in person, or by texting. Every breakup conversation is a choice of one medium, and a decision against other possible media. So how should one analyze the ways in which all these different understandings of media are interconnected (what media scholars call remediation)? On page 99, I discuss how two scholars, Jay Bolter and Richard Grusin, discuss remediation. They talk about the ways in which all media are interconnected in terms of media ideologies about immediacy and hypermediation. For these authors, different media lie on a continuum of mediation: how much a medium can seem to alter an image or text or scene from the imagined original moment. But this isn’t necessarily what people care about when they are breaking up with each other. They might care more about how formal or informal a medium seems to be. How do you decide whether texting is more formal than instant messaging? And once you decide, how does this affect the way you will respond if your lover sends you a text message “it’s over?” Do you call them? Do you say: "who behaves this badly?" and refuse all further contact? Read more about The Breakup 2.0 at the Cornell University Press website. 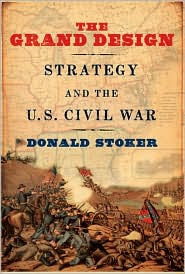 Donald Stoker's "The Grand Design"
One of the things differentiating my book from the rest of the Civil War literature is its examination of strategic issues rarely (or never) discussed anywhere else. Page 99 is indicative of this because it is part of the discussion of a strategic topic not normally touched upon: Confederate naval strategy. It is probably safe to say that the average reader does not even know there was such as thing. But the reality is that the Confederates had some very developed ideas in regard to naval strategy and it is not a far stretch to say that their naval thinking was superior to that guiding their land war. Confederate naval strategy took as its starting point an effort to get a technological edge over the Union and thus break Northern naval power by building a small number of technically superior vessels. These were to take two primary forms: high-speed, steam and sail powered raiders armed with a small number of rifled cannon that would attack Union shipping, and ironclad coastal vessels to secure Southern ports and break the Union blockade. A third tier was coastal defense. This took the form of fortifications (page 99 shows Robert E. Lee’s involvement in this), and undersea mines, known as “torpedoes” during the Civil War. Confederate undersea warfare also saw experiments with submarines, such as the famous Hunley (see page 99). The South’s ideas though, were more advanced than its industry. It could never build or buy abroad the ships it needed to put its ideas into practice. Read more about The Grand Design at the Oxford University Press website. Elise DeVido's "Taiwan's Buddhist Nuns"
Elise Anne DeVido is Assistant Professor of History at St. Bonaventure University. I suspect that Ford Madox Ford originally meant his test to be applied to a work of fiction, which, as drama, has a different structure, trajectory, and emotional world than do works of non-fiction. At least, his test might work better on books far longer than my short monograph! But when I turn to page 99, lo and behold I do find a core passage on “Buddhism for the human realm,” one of the overarching themes of this book. Before I turn to that passage, let’s look at page 93. There I wrote: “Every chapter of this book has mentioned “Buddhism for the human realm,” renjian fojiao, the modernized form of Buddhism first formulated in early twentieth-century China and promulgated in Taiwan by a number of Buddhist groups.” My book explores how Buddhist women and men in Taiwan, both monastics and laypeople, interpret and practice this “modernized” form of Chinese Buddhism. Why Taiwan, not China? Because in modern times until very recently, war and political struggles in mainland China disrupted and suppressed the practice of Chinese Buddhism, a rich tradition with two thousand years of history, and the tradition which over time spread to Korea, Japan, Vietnam, Taiwan, and, wherever the Chinese emigrated. This may all be new to many readers more familiar with Japanese Zen Buddhism (In fact, “Zen” originated in China) or the Westernized forms of Tibetan Buddhism. World affirming, fully engaged in today’s society, technologically savvy, a Buddhism entered into life and the human realm…but the heart of the book is that in Taiwan, most Buddhist monastics and laypeople are women, a situation not found in other Buddhist countries. Read the book to find out why! Read an excerpt from Taiwan's Buddhist Nuns, and learn more about the book at the publisher's website. Thomas Kessner's "The Flight of the Century"
Thomas Kessner is Distinguished Professor of History at the City University of New York Graduate Center. He is the author of many books, including Capital City: New York City and the Men Behind America's Rise to Dominance, 1860-1900, and Fiorello H. LaGuardia and the Making of Modern New York, which was a New York Times Notable Book. Page 99 is early into a chapter describing reaction to Lindbergh’s historic flight and the little known role of the diplomat who molded the unlettered Lindbergh into a 20th century icon. Lindbergh (whose father was a congressman) was the child of a broken home who flunked out of college and looked forward to an unpromising future before realizing that he had a special gift for piloting the primitive airships of the time. He toured with barnstormers, did some wingwalking, and delivered the air mail before entering the competition for a $25,000 purse promised to the first plane to fly nonstop between New York and Paris. Six other fliers, far more experienced than the 25 year old Lindbergh, had taken off in massive multiple- engine machines and either perished or vanished. So unorthodox was Lindbergh’s plan for the 3600 mile crossing that top line manufacturers refused to sell him a plane, fearful of being associated with certain disaster. The fact that of all the competitors he insisted on doing it alone made it seem even more lunatic. Finally an obscure West Coast company agreed to build him the plane he wanted: a silver tone, single-engine aircraft stripped to its bare essentials (lacking even a radio), and in the early dawn of May 20th 1927 Lindbergh took off. More than 33 perilous hours later he arrived over Paris’ Le Bourget airport. Airfields were lonely places then and when he glimpsed the huge crowd gathered there, Lindbergh was certain that he had lost his way. But this was indeed Le Bourget and the crowd of 100,000 that soon trampled police barriers in a frenzied charge to “touch the new Christ,” was there to witness the dawn of a new air age. Why did this sporting stunt so capture the imagination of the world and turn Lindbergh into the most celebrated individual in history? And in an era when fame spoiled sooner than warm milk why did his endure, propelling the U.S. into aviation leadership; until it curdled into a loathing for democracy and a disastrous flirtation with Nazism? These questions shape the succeeding pages of the book. Learn more about The Flight of the Century at the Oxford University Press website. Mark W. Geiger's "Financial Fraud and Guerrilla Violence in Missouri's Civil War"
Mark W. Geiger is a postdoctoral fellow at the United States Studies Centre at the University of Sydney. By late 1863 the banks and the defendants were, in different ways, trapped. To survive, the banks had to collect their bad debts. Lawsuits filed by the banks clogged the dockets of the state’s civil courts in the final two years of the war, but eventually all cases were settled. Missouri’s southern men could only use this interval to play a rigged game in the enemy’s courts and legislature. When it was all over, most of the defendants had no property left. Not everyone was willing to accept this brand of justice, however. Political repression, the bitterness of military defeat, and, finally, the forced land sales all made further violence certain. This book explores a previously unknown financial conspiracy that occurred at the start of the American Civil War. In 1861, a small group of pro-secession politicians, bankers, and wealthy men in Missouri conspired to divert money from the state’s banks to equip rebel military forces. The scheme backfired and created mass indebtedness among Missouri’s pro-southern population, especially the wealthy slaveholders. Court judgments eventually forced the sale of a hundred and forty thousand hectares of farmland, creating a revolution in landownership that decapitated the state’s southern society. Today a subaltern southern culture survives in Missouri, but little remains of a traditional southern aristocracy, unlike in other former border slave states like Kentucky and Maryland. Many of these newly landless families emigrated. Most went west and south, but some scattered as far as Brazil and Mexico. As a further turn in this story, the indebtedness intensified the guerrilla war that raged in Missouri from mid-1862 on. This was the worst period of terrorist violence ever to occur on American soil, and it is an aberration in American history that has never been fully explained. A disproportionate number of the young men from these dispossessed families joined the guerrillas, making common cause with desperate and violent men from the bottom of society. Many guerrillas later turned to banditry, most famously the gang led by Jesse James. The violence so disrupted civil society that conditions did not settle down for nearly two decades after the war. In the 1870s eastern newspapers called Missouri “the robber state,” and depicted the continuing violence as something that set Missouri apart from the rest of the country. Looking beyond this melodramatic story, the records of the failed conspiracy show an archaic form of military mobilization used throughout the U.S. in 1861 that historians have not previously studied. In 1861, governments North and South lacked the money, the legal authority, and the administrative capacity necessary for military mobilization. Without private financing, the shooting war could not have started until months later. The U.S. had relied on private financing for all its earlier military mobilizations, and the system was of ancient pedigree in Europe. This was the last time the country mobilized for war in this way, marking a turning point in the centralization of federal power and the formation of a modern administrative state. View a video trailer for Financial Fraud and Guerrilla Violence in Missouri's Civil War, 1861-1865, and learn more about the book at the Yale University Press website. Brian Loveman's "No Higher Law"
Brian Loveman is professor emeritus of political science at San Diego State University and author or editor of more than twenty books on Latin American history and politics, inter-American relations, and U.S. foreign policy. P. 99 of begins with a summary of American foreign policy and the Western Hemisphere from the 1820s until the 1860s and ends with an introduction of American policy toward Cuba, the first of five cases (Cuba, the Caribbean islands, Central America, Colombia [Panama], Mexico) considered in the rest of Chapter 4. The chapter is titled “The Good Neighbor” – an ironic characterization of U.S. regional policy, and especially of President James Buchanan’s call for American military intervention in Mexico as a “good neighbor” to lend a “helping hand.” Buchanan told Congress that Mexico was a “wreck upon the Ocean” and that the U.S. should lend a helping hand, lest “some other nation undertake the task, and thus force us to interfere at last, …for the maintenance of our established policy.” Buchanan meant to uphold his version of the Monroe Doctrine, protect American property and business in Mexico, and control isthmian transit from the Pacific to Atlantic oceans after the California gold rush of 1849, and after the U.S. annexed approximately half of Mexico. He also sought to expand slave territory. Buchanan told Congress: “Only thus can we fulfill our high destinies, and run the race of greatness for which we are ordained …. The Anglo-Saxon blood could never be subdued by anything that claimed Mexican origin” (p. 115). Thus the p.99 test catches the 1776-2010 story told by No Higher Law fifty years after U.S. independence and takes it into the 1860s. A reader who picks up the book and opens to p.99 will find a partial synthesis of the central themes of the story in the paragraph at the top of the page, and a beginning of the Cuban case study in the last half of the page. Chapter 4 ends with the advent of the American Civil War and notes that “in the last thirty-five years of the nineteenth century, Latin Americans would rarely have an opportunity to experience or imagine the United States as the Good Neighbor” (p.119). Learn more about No Higher Law at the publisher's website. Visit Brian Loveman's website for access to key documents and bibliographical sources mentioned in No Higher Law. Thomas L. Carson's "Lying and Deception"
Thomas L. Carson is Professor of Philosophy at Loyola University Chicago. He is the author of Value and the Good Life, The Status of Morality, and the newly released Lying and Deception, and is the co-editor of Morality and the Good Life and Moral Relativism. Act-utilitarianism supports the view that there is a strong moral presumption against lying and deception. It also seems more reasonable than Kant’s absolutism, to the extent that it permits people to lie to save someone’s life. However, even if we grant all of Mill’s arguments and the additional arguments I have proposed in this chapter, there remains a serious objection to the act-utilitarian view about the morality of lying. Act-utilitarianism views lying as morally neutral or indifferent, other things equal (apart from its consequences). Speaking with reference to moral rules such as the rule against killing, Frankena writes: “Even though I think that no such rules are absolute... I do still believe... that some kinds of actions are intrinsically wrong, for example, killing people and lying to them.” Ross give the classic statement of this argument. Ross's theory is an important alternative to both act-utilitarianism and Kant's absolutism; it is arguably closer to our commonsense moral beliefs than either act-utilitarianism or Kant’s absolutism. Is this representative of the book as whole? This is a summary of one of 14 chapters. This chapter is one of five chapters that address questions in ethical theory. The book also includes 2 chapters that deal with conceptual questions issues and give definitions of lying, deception, and related concepts and 5 chapters that address with actual cases of lying and deception and questions of professional ethics. See Thomas L. Carson's Loyola University webpage for more information about him and to see a list of some of his favorite books. Learn more about Lying and Deception at the Oxford University Press website. John Hartigan Jr.'s "What Can You Say?" John Hartigan Jr. is Director of the Américo Paredes Center for Cultural Studies and Professor of Anthropology at the University of Texas at Austin. He is the author of Odd Tribes: Toward a Cultural Analysis of White People (2005) and Racial Situations: Class Predicaments of Whiteness in Detroit (1999). What Can You Say? covers a year’s worth of race stories in the news—from Martin Luther King Jr. Day in 2007 to the next one in 2008. Rather than analyzing these stories in terms of what they reflect about our relative progress on dealing with race, I use these media spectacles to examine the cultural forms that shape our sensibilities about race. The preeminent story in this time frame was the battle between Obama and Clinton for the Democratic nomination for the Presidency, as both sides tried to construe their opponent as nefariously manipulating race. My take on this protracted battle is that it shows how unruly and unstable racial meanings are today. Obama and Clinton could exchange counter-charges over race—with journalists becoming increasingly perplexed over which politician’s claims were accurate—because the volatile meanings of race are so hard to pin down. In this chapter, I use the image of sumo wrestlers to convey how Obama and Clinton vied to push their opponent across the “dohyo” or ring of public decorum around race. Neither had to assert how or why race matters; rather, they each only strove to suggest that the other was acting or being “racial” with their comments or suggestions. Page 99, then, talks about how this particular contest upended the conventional wisdom that journalists relied upon to evaluate and adjudicate such contradictory accusations. For all the clarity that race possessed when it was skillfully manipulated by presidential candidates in the past, the novelty of an African-American male contesting a white female for the presidency overturned these certainties. In the process, Americans were offered a scintillating (though confusing) view of how the relevance and meaning of race is changing rapidly. Learn more about What Can You Say? at the Stanford University Press website. Miliann Kang's "The Managed Hand"
Miliann Kang is Associate Professor of Women, Gender, Sexuality Studies at the University of Massachusetts, Amherst. Page 99 falls in Chapter Three: “Hooked on Nails,” which profiles six different nail salon customers. Alexandra and Jamilla seem to represent polar opposites, one with demure French nails and the other with long, hand-painted acrylics, but in actuality they both conform to the feminine norms of their respective communities. Theresa’s and Brianna’s nails are layered over their conflicted identities as mothers, while Ella and Cheryl manicure their nails to fit into their positions in the workplace. Yet all of them insist that they do their nails for themselves, denying especially that men's approval is a factor. The chapter frames these women’s manicuring practices through the lens of Pierre Bourdieu’s work in Distinction: A Social Critique of the Judgment of Taste, which argues that our aesthetics are not simply personal tastes but are conditioned by our social positions. I apply his work to show that women’s nails are not simply superfluous markers but are key signifiers of gender, race and class identities. 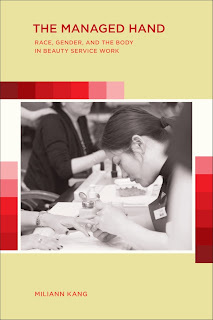 The book as a whole, however, does not only look at customers but also examines the experiences of manicurists (focusing on Asian immigrant women in New York City), interactions across the manicuring table, and developments in the nail salon industry writ large. I analyze the distinct kinds of work involved in these sites, particularly “emotional labor” and “body labor,” which reveal how intimate exchanges are increasingly commercialized and enacted between virtual strangers for a price. The book concludes by asking, “What is a manicure worth?” and explores ways that this exchange can be more humanizing and equal for all parties involved. Rather than dismissing them as isolated, inconsequential services, the book regards manicures as an illuminating slice of social life in global cities. I love the idea of this test and promptly flipped through the 99th page of a number of my favorite books to see how it applied. As for my book, The Managed Hand: Race, Gender, and the Body in Beauty Service Work, the test does not fully capture the content of the book but does highlight some key themes. Learn more about The Managed Hand at the University of California Press website. Amanda H. Podany's "Brotherhood of Kings"
Amanda H. Podany is Professor of History at California State Polytechnic University, Pomona. She has published a number of books and articles on topics in ancient Near Eastern history, including The Ancient Near Eastern World. In Brotherhood of Kings readers embark on a journey (indeed, many journeys) across what is now the Middle East, in the company of a series of messengers, ambassadors, traders, kings, and princesses. The journeys start around 2300 BCE, with the earliest written evidence for diplomacy, and continue to 1300 BCE, when the great kingdoms of the Near East formed a largely peaceful international community—the “brotherhood of kings” of the title. On previous pages, readers had met Lu-Enlila, a trader who lived two centuries earlier. With the support of a local temple, he had obtained copper in Oman. A successor to Lu-Enlila continued trading on behalf of Ur’s temple,… but he traveled to Dilmun rather than Magan. His name was Ea-nasir….We know quite a bit about him from Sir Leonard Woolley’s excavations in the city of Ur. Though wealthy enough to own a house and brave enough to routinely travel by boat from Ur to Dilmun, Ea-nasir was not famous in his own time. Like almost every other individual mentioned in the book, his existence, his words, concerns, and lifestyle all had to be rediscovered through archaeological excavation, especially from the clay cuneiform tablets that he wrote and received. In his house, Ea-nasir kept some of the letters that had been written to him when he was in Dilmun, and they were still on the floors when Woolley excavated. Woolley (somewhat idiosyncratically) named the streets of Ea-nasir’s neighborhood after the streets in England; according to him, the Dilmun trader lived at No. 1, Old Street. Page 99 ends with a walk through the streets of Ur, near Ea-nasir’s house. The roads in Ur were narrow and labyrinthine. Some led to public squares and busy crossroads, others dead-ended into the doors of the houses at the end. No street signs marked the way, and houses were not identified with names or numbers (signs would have been of little use, anyway, since the vast majority of the population was illiterate). People defined where they lived by the names of their neighbors. No spaces marked where one house ended and another began; all a pedestrian on the street would have seen was a long, high mud-brick wall interrupted here and there by a front door. …There were no front or back yards to houses, no sidewalks, no windows onto the streets that we know of, and almost no visible clues about the homes that lay beyond the closed wooden doors. It was probably loud in the streets—the Mesopotamians were forever worrying about upsetting the gods with all their noise. The gods needed their sleep, and the din of people and animals in the street around the temples threatened to keep them awake. If you were to read ahead a few pages you would learn about Ea-nasir’s house, read a letter that he received from an angry customer, and discover that on one occasion he brought back to Ur a huge shipment of 13,000 lb of copper. The chapter then shifts to a diplomatic mission sent to Dilmun from Northern Mesopotamia, the kings exchanging ambassadors and gifts. The Page 99 Test works well in the case of Brotherhood of Kings. This page is typical in its focus on real people and places as it explores ancient trade and diplomacy. It also discusses the evidence that survives, allowing scholars to reconstruct the ancient world. One sees that the peoples of the ancient Near East were surprisingly sophisticated in their approaches to trade and to international relations. Read more about Brotherhood of Kings at the Oxford University Press website. Andrew Pettegree's "The Book in the Renaissance"
Andrew Pettegree is Head of the School of History at the University of St. Andrews and founding director of the St. Andrews Reformation Studies Institute. Page 99 takes us to Wittenberg and to the extraordinary upsurge of print activity that followed the Reformation. Martin Luther was lucky to have a friend and supporter in the artist Lucas Cranach, whose busy workshop also produced woodcut prints in support of the Reformation. Page 99 discusses (with illustrations) the wonderful artistic borders Cranach fabricated for the title-pages of Luther’s books. Why did people buy books, and how did they know what books to buy? This question is all the more important in societies where only a small proportion read. This was certainly true of 16th century Europe, despite the large number of people who bought books for the first time. So were all those who bought books readers? Not necessarily. The Reformation was a huge public event. People who wanted to share their enthusiasms, or make a pledge of allegiance, could buy a pamphlet: a totem, as much as a text. Lucas Cranach's masterful title-page borders offered a swift form of identification, a uniform or livery, marking these pamphlets out as pro-Luther. It was an exquisite form of early brand identity, and it showed how quickly the book had developed in the seventy years since the invention of printing. Luther always regarded the Bible as his masterwork. But there were plenty of Bibles in circulation before the Reformation: so many were produced in the 12th century, mass produced in monastic copy-shops, that the market was glutted. It was pamphlets, published in Wittenberg and elsewhere, that really changed the terms of debate. The Reformation controversies were only one part of a new market for cheap print that made book ownership possible for whole new classes of society. And such works – almanacs, news books, schoolbooks, edicts and official publications – underpinned a market where publishers who dealt only in serious scholarship risked piling up thousands of copies, unsold, to gather dust in their warehouses. It seems to be an infallible rule of technological change that confident predictions about the consequence of innovation are always wrong. The Humanist scholars who welcomed print expected it to generate more, and more accurate texts – for them. What actually happened was very different. Learn more about The Book in the Renaissance at the Yale University Press website. Andrei S. Markovits & Lars Rensmann's "Gaming the World"
Andrei S. Markovits is the Karl W. Deutsch Collegiate Professor of Comparative Politics and German Studies at the University of Michigan. His books include Uncouth Nation: Why Europe Dislikes America and Offside: Soccer and American Exceptionalism. Lars Rensmann is DAAD Assistant Professor of Political Science at the University of Michigan. Their new book is Gaming the World: How Sports Are Reshaping Global Politics and Culture. Page 99 commences with a description how sports movies featuring the Big Four North American sports of baseball, football, basketball and hockey have – with very few exceptions – been unmitigated failures in the rest of the world and have massively underperformed globally when compared to other American movies. While the NFL has successfully “rented” England’s venerable Wembley Stadium for a yearly football game featuring two of its teams that perform in a sold-out venue to much immediate media attention, the lasting cultural legacy of these games still remains quite marginal in England’s sports culture. Indeed, in the 2009 version featuring the New England Patriots and the Tampa Bay Buccaneers, most of England’s sports fans and football supporters – let alone the bevy of reporters crowding into Wembley’s media room – were glued to television screens showing the match between Liverpool and Manchester United, one of that country’s (and the world’s) most coveted and defining rivalries in the game of soccer. This particular vignette encapsulates quite well the gist of our book’s argument which – in essence – focuses on how what we call the second globalization (1980s to the present) transports formerly alien sports languages into sports “spaces” that were created during the first globalization (between 1860s and the 1920s) and that defined mutually unintelligible sports cultures on either side of the Atlantic. We conclude that while major shifts in Europe’s and North America’s respective sports spaces have indeed occurred by dint of this second globalization; and we can really observe what we call the “Olympianization” of soccer in America (meaning that the quadrennial World Cup has become a major cultural phenomenon since the 1990s comparable to the Olympic Games with the quotidian presence of soccer however still remaining on the margins of American sports culture); and the NBA’s and the NHL’s (to a much lesser degree the NFL’s and MLB’s) growing presence in Europe; the resilience of the sports languages created by the first globalization remains remarkable. Thus, while many more Americans have become conversant in soccer by virtue of the World Cup’s popularity, this in no way rivals their cultural and linguistic mastery of baseball, football, basketball and hockey. Conversely, while more Europeans than ever know about and appreciate the North American Big Four sports, this does not come close to their intellectual sophistication and emotional involvement pertaining to soccer. Read an excerpt from Gaming the World, and learn more about the book at the Princeton University Press website. Lorien Foote's "The Gentlemen and the Roughs"
Lorien Foote is associate professor of history at the University of Central Arkansas and the author of Seeking the One Great Remedy: Francis George Shaw and Nineteenth-Century Reform. Surprisingly to me, the “Page 99 Test” worked reasonably well for The Gentlemen and the Roughs. My book is about manhood and northern society during the Civil War. At a time when Americans believed that the survival of the republic depended on the manhood of its citizens, army life exposed the conflicts among men over how to define and measure manhood. Each chapter of the book deals with one of the contested attributes of manhood and how the contest played out in the context of the Union Army. Page 99 is in Chapter Four, which presents a discussion of honor. One of the central arguments of my book, which challenges the perception of most scholars, is that honor was still vital to many northern men. Page 99 begins to develop that theme with a discussion of men who believed the Civil War was a duel between north and south and who invoked honor to describe their motivations. The rest of the chapter discusses the numerous affairs of honor that I found in the record of Union courts-martial. However, honor was a contested ideal of manhood. Many northern men rejected honor and believed it led to unnecessary violence and unmanly behavior. Page 99 reflects this larger argument of the book because the page contains the concluding paragraph of the extended introduction to Chapter Four. In that paragraph I introduce the difficulty that military courts had assessing affairs of honor because northern men disagreed over how a man satisfied honor when he was insulted. My book uses different types of primary sources as evidence, but relies heavily on courts-martial records, a feature that is unique among scholars who study gender and Civil War soldiers. Page 99 references the use of these sources, but is atypical of the rest of the book in that it does not present incidents from courts-martial or quotes from a trial. Because page 99 only deals with honor, however, it does not capture the book’s discussion of other attributes of manhood that were contested in the Union Army, such as moral character and gentility. Nor does it reflect the importance of social class to northerners’ perceptions, to the interactions between soldiers and officers, and to the book’s analysis. A reader who turned to page 99 would get the mistaken impression that the book is about honor. Visit Lorien Foote's faculty webpage, and read more about The Gentlemen and the Roughs: Violence, Honor, and Manhood in the Union Army. Richard S. Grossman's "Unsettled Account"
Richard S. Grossman is professor of economics at Wesleyan University. Page 99 of my book comes in the middle of a chapter that focuses on the three main ways in which banking crises have been addressed during the past 200 years. Given that policy makers are still wrestling with these issues today, this couldn’t be more topical. The oldest and, in some ways, simplest response to crisis is a bailout. Bailouts can be undertaken by the government, central bank, or by private financial institutions. Bailouts raise two important questions. First, are banks with better political connections more likely to be rescued that those that are not? Second, does bailing out a bank lead to moral hazard—that is, does it encourage other banks to undertake more risk in the belief that they too will be bailed out should the need arise? The second form of rescue, developed in England during the nineteenth century, is that provided by a lender of last resort. Lenders of last resort extend credit to troubled banks that have credit-worthy securities to put up as collateral. Because the lender of last resort cares only about the soundness of the collateral, issues of moral hazard and favoritism are minimized. The third form of rescue, and the most relevant for the current crisis, is what I call “more extreme measures.” Such measures range from shutting down the whole banking system temporarily, as was done in the US during the Great Depression, to bank nationalization, which has been used extensively during the most recent crisis. Although rescues, as well as crises, merger movements, and regulatory reform (the other main themes of the book) have each been dealt with elsewhere, this book places them within a larger context by comparing the experience of many countries over a long time span. The effect, I hope, will be to shed new light on the origins of our current banking system and to help guide policy makers in shaping its future. Read an excerpt from Unsettled Account, and learn more about the book at the Princeton University Press website. Stephen Nathanson's "Terrorism and the Ethics of War"
Stephen Nathanson is Professor of Philosophy at Northeastern University. 2) If, as many people believe, terrorism is especially evil or wrong, what features make it especially wrong? 3) If terrorism is always wrong, why do condemnations of terrorism often lack moral credibility and how can condemnations of terrorism be made more credible? 4) Is terrorism always wrong or can it be justified? My first aim is to show why we need to face these questions. After the 9/11 attacks, there was a strong moral consensus that all terrorist acts are inherently wrong. Beneath this consensus, however, there are deep confusions. Most people cannot define terrorism, and though they often condemn terrorism for killing innocent people, they tend to approve of some actions in war that kill innocent people. It is widely believed, for example, that the Allied bombings of German and Japanese cities in World War II were justified even though these bombings share features of terrorist acts. Like terrorism, they were deliberate attacks on civilians that were carried out to advance the political goal of achieving victory. Page 99 deals with another puzzling aspect of these issues, the problem of “collateral damage” harms. In wars and other forms of political violence, some people are intentionally attacked in order to kill or injure them, but other victims, while not intentionally targeted, are nonetheless killed or injured. Since I define terrorism, in part, as intentional, politically motivated attacks against civilians, collateral damage killings of civilians are not terrorism because they are not intended. On page 99, I criticize “just war theory,” which supports the common view that unintended killings are inevitable in war and should not be morally condemned. This is puzzling. How can people condemn terrorism because it kills civilians while also thinking that attacks in war that kill civilians are morally justifiable? When we think about these things, we may feel confused both about what terrorism is and whether terrorist acts and other acts of war are necessarily wrong. These are, in fact, difficult philosophical questions. In Terrorism and the Ethics of War, I try to face the hard questions about war and political violence, and I defend an ethic of war that condemns terrorism in a morally credible way. Read an excerpt from Terrorism and the Ethics of War, and learn more about the book at the Cambridge University Press website. Avis Cardella's "Spent: Memoirs of a Shopping Addict"
After spending her formative years reading fashion magazines voraciously, Avis Cardella found her calling writing about fashion, photography, and culture. She has written for British Vogue, American Photo, and Surface, among other publications. She lives in Paris with her husband. When I look at page 99 of my memoir Spent, this is what I find: The emptiness propelled me back into the relationship with Thomas. I became convinced that the only solution was to marry and start a family. Already in my thirties, time was running out. Indeed, several critical pieces of my story are in those three sentences: emptiness, relationships, family, time running out. My compulsive shopping, of course, was directly linked to my need to fill the void, to answer to the emptiness I felt inside. Cliché as it sounds, this turns out to be the linchpin of many a shopping addict’s run to the retailer. I was no different. What was I really searching for? What are we all searching for? Relationships, with friends, lovers, or family were what suffered throughout my years of compulsive shopping. Probably most damaged was my relationship with myself. My desire to sidestep true and difficult or painful emotions was at the core of my self-deception. Naturally, no other relationship could be sustained when one of the main requirements was that I be emotionally present. For many years, I wasn’t. The time running out that I refer to in this particular passage has to do with starting a family. I was reacting to my biological clock. I don’t know any woman who has successfully sidestepped this, those with children or without. Like Gilbert, I realized that time would not wait for me to wake-up and come to the party. Yet, I was reticent to accept that time itself could not be bought, and a fabulous wardrobe couldn’t be a stand-in for self-esteem. Really? When I read that now the folly of this thinking is staggering. Still, it seemed to be the folly of so many women who chose to ride out the last two decades in a haze of getting and spending and chasing and wanting and believing that choice itself was what made them empowered. At least this was the message being sold. So much to choose, to buy, to have, and to want ... so much that often had absolutely nothing to do with what we really needed. Read an excerpt from Spent, and learn more about the book and author at Avis Cardella's website and blog. Jane Burbank & Frederick Cooper's "Empires in World History"
Jane Burbank is professor of history and Russian and Slavic studies at New York University. Her books include Intelligentsia and Revolution and Russian Peasants Go to Court. Frederick Cooper is professor of history at New York University. His books include Decolonization and African Society and Colonialism in Question. Open to page 99 of our book and you are at a turning point in world history–the Mongol conquest. How could a small tribe led by Chinggis Khan create the largest land empire of all time? Here we point to the legacy of earlier Eurasian nomadic empires, from whom the Mongols inherited the politics of tribal confederacy under a supreme leader–the Great Khan--a strong army organization, and effective means to raid or extort wealth from rich cities and great neighboring empires. On page 99 we discuss Mongol military tactics, including "bogus camps and mannequins on horseback" and their "formidable weapon...the double-arched wooden bow, made of layers of sinew and bone on a wooden frame." But we emphasize that it was a particular kind of social organization, adapted to their environmental possibilities, that made the Mongols' victory possible. There were no more than a few hundred thousand Mongols in the early thirteenth century, but at the end of Chinggis Khan's life about 130,000 were in his army--between a third and a quarter of the size of the Roman army at its peak. This modest population controlled about half of the world's horses in the thirteenth century. Nomadic life meant that the whole society could be mobilized for war; women followed campaigns with supplies and sometimes fought with men. Going home was not a goal--the point of war was plundering, sharing out the booty, and moving on to get more. The Mongols took their provisions with them and deposited them in advance of battle. They knew where to find water. When caught away from their supply lines, they had their survival foods, including horse blood. All this meant that when Chinggis Khan put together his army he commanded a terrifying force. Page 99 then turns to the emperor himself, not yet known as Chinggis. Around 1167 a male child, Temujin, was born into a chiefly but not powerful family in Mongolia.... Temujin's fate took a perilous turn when, after a Tatar tribesman killed Temujin's father, the family was deserted by his father's clan. Temujin, his mother, and her other children were left to forage on their own. In these inauspicious circumstances, Temujin displayed a forceful personality that brought him friends, enemies, and victims. With one of his brothers, Temujin murdered a third brother in a fight. In 1180, Temujin was captured and nearly killed by a clan formerly allied with his father's. P. 99 breaks off as Temujin proves himself in murderous contests for power, becoming Chinggis, the Great Khan of Eurasia. He and his descendants extended Mongol control west to the gates of Vienna and east to the Pacific Ocean. Skilled horsemen with deadly bows and a system of cross-continental relay stations gave Chinggis the kind of military advantage the machine gun and telegraph provided in the 19th century. In the long run, the Mongols left a different mark. Mongol rulers sheltered Buddhist, Muslim, Christian, and other faiths and followed diverse religions themselves. They became great patrons of arts and sciences, spreading Persian, Arab, Chinese, and Islamic culture across Eurasia. The Mongols' flexible approach to difference among their populations was distinct from the politics of Christianized Rome and other empires who privileged one religion or group over others. When Chinggis died in 1226, his empire was divided among four of his sons, and their domains separated over time. But the Mongols helped to shape some of the world's most powerful and long-lasting polities, notably Chinese, Russian, Ottoman and Mughal empires. The interactions, clashes, and creations of these and other empires are the subject of our book. Read an excerpt from Empires in World History and learn more about the book at the Princeton University Press website. 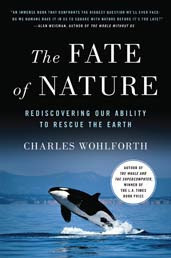 Charles Wohlforth's "The Fate of Nature"
Charles Wohlforth is a life-long Alaska resident and prize-winning author of numerous books about Alaska. His work includes writing about science and the environment, politics and history, travel, and as-told-to biography. Is page 99 of my book, The Fate of Nature, representative of the quality (or content) of the book as a whole? Yes, because my book ranges so wide in its attempt to take on an enormous topic that any page would probably fit the bill. The Fate of Nature asks if our species is equipped to save the environment--do we have it in us to cooperate as we would need to, or are we essentially selfish beings who can only compete in this finite Earth commons until there's nothing left but the things we ourselves make, buy and sell? I use the story of my home, coastal Alaska, and I find that culture is the key. Human beings are capable of extraordinary good and bad behavior. Many cultures at many points in our hisotry have shared and cared for the ecosystems in which they live. In Prince William Sound, the Chugach people owned the ocean in common and felt a link to the place and the animals that gave them meaning and purpose. Russians, originally informed by the free maket philosophy of Catherine the Great, invaded in the 18th and 19th centuries and stripped the waters of its fur bearing animals. Their treatment of the indigenous people has rightly been called genocidal. The Russians fur traders are long gone, but the Chugach people still suffer from their brutality. On page 99, I write, "Strands of Russian ways and traditional indigenous ways were wrapped with another strand, the strand of the grief itself, the kind that comes too fast to work through, that runs too deep, because not only have the teachers died, but the universe they inhabited and taught is dying as well." For some of those who love wild places and the animals there, there's a similar sense of grief as we watch the losses mount. But there's also hope in those feelings. Our connection and caring mean we're not entirely selfish. We do have a chance. Read excerpts from The Fate of Nature, and learn more about the book and author at the official The Fate of Nature website and Facebook page. Jillian Lauren's "Some Girls: My Life in a Harem"
Author and performer Jillian Lauren grew up in suburban New Jersey and fled across the water to New York City. She attended New York University for three minutes but promptly dropped out to work with Richard Foreman's Ontological Hysteric Theater and with The Wooster Group, among others. She has an MFA in Creative Writing from Antioch University. Her writing has appeared in The New York Times, Vanity Fair, Flaunt Magazine, Opium Magazine, Society, Pale House: A Collective and in the anthology My First Time: A Collection of First Punk Show Stories, among others. I feel compelled to take Ford's p.99 test because I have a lineage of mentors that actually stretches back to Ford himself. Ford Madox Ford mentored Caroline Gordon, who mentored Oakley Hall, who mentored Leonard Chang, who mentored lil' old me. So in a way, Ford's metaphysical fingers join me as I turn to p. 99 of my coming of age memoir Some Girls: My Life in a Harem, and land square on: disappointment. The second to last sentence of p. 99 is, "I was disappointed in Brunei and in myself." Some Girls: My Life in a Harem is a book about identity, adoption, tattooing and the eighteen months I spent as a teenager in the harem of the Prince of Brunei. The rest of p.99 (prior to my statement of big fat disappointment) contains, well, more disappointment. In some ways this is emblematic of the restless spirit that led me so far afield in the first place. My perpetual dissatisfaction with the world I saw around me caused me to make a series of reckless choices that eventually dead ended in the bedroom of world richest man's youngest brother. At which point I was forced to entertain the concept that the world around me might not, in fact, be the problem. In the end, I don't think that disappointment sums up the spirit of Some Girls, but I do think that the sentiment can be said to play a key role in the unfolding of the narrative. Watch the trailer for Some Girls and read an excerpt; learn more about the book and author at Jillian Lauren's website and blog. Christina Snyder's "Slavery in Indian Country"
Christina Snyder is an assistant professor of History and American Studies at Indiana University. Page 99 deals with perhaps the most famous and lurid aspect of captivity: torture. 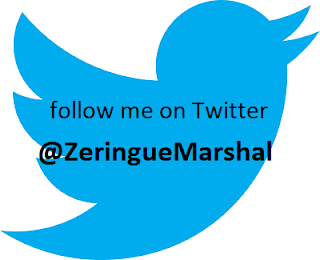 My book explores captivity practices among Native Americans of the South from pre-Columbian times through 1840. Page 99 falls in my discussion of the 18th century, when captives faced fates ranging from death to adoption to slavery. Although these fates seem disparate, all served to enhance the power of captors’ societies. The clan mothers who decided such matters divided captives by gender and “closely examined male captives’ chests and arms for tell-tale blue pictographs—the tattoos that graphically told the stories of their exploits against enemy people. Very accomplished warriors could expect to ‘atone for the blood they spilt, by the tortures of fire’” (93). Reserved for adult men, torture quieted what Southern Indians called the “crying blood” of grieving relatives and helped release the souls of murder victims into the afterlife. Although Europeans and colonists still flocked to see criminals and slaves publicly tortured and executed in their own societies, white observers were quick to condemn Indian practices as “barbarous,” and some urged Native people to give it up. “Resident traders, for example, routinely offered money to ransom the condemned captives, especially if those captives happened to be white.... James Adair related that during the Franco-Chickasaw Wars, the Chickasaws put a number of Frenchmen to death in their fires: ‘The English traders solicited with the most earnest entreaties, in favour of the unfortunate captives; but they averred, that as it was not our business to intercede in behalf of a deceitful enemy who came to shed blood, unless we were resolved to share their deserved fate.’” Torture continued until the late eighteenth century, when the United States became the first empire to seriously contest Indians’ control of the interior South. To deal with an increasingly powerful American state, Native chiefs began to centralize political power in their own nations, sapping the traditional prerogatives of clans and taking control of warfare and justice. 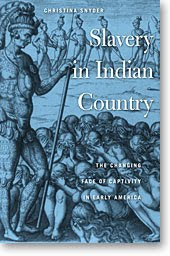 Page 99 explores why Native people killed some captives “to fulfill essential social and spiritual needs,” but it also situates torture at one end of a very broad spectrum of captivity. The entreaties of the resident traders reveal how captivity brought North America’s diverse peoples together. With their white and black neighbors, Indians participated in cross-cultural dialogs about the meanings of race, slavery, and freedom. Learn more about Slavery in Indian Country at the Harvard University Press website.